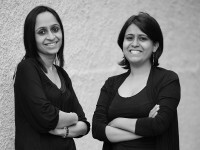 amalgam is a design firm specializing in home accessories, furniture & lighting products, based out of New Delhi, India. amalgam represents a blend of convention and modernity and the work uses craft, stone work, inlay in precious and semi-precious stone and wood. Using craft as a means to achieve unison of function and aesthetic, amalgam has redefined the blend of colour and pattern in the contemporary indian modern aesthetic to produce furniture, accessories and lighting. The principals are two young architects, who have studied design in India and abroad, and are now practicing in Delhi, reinterpreting design as an an amalgam of India's rich cultural heritage and the new modern. After we receive order, we ship it by reputed courier service only. Please do not accept shipment if it appears damaged/tampered with.